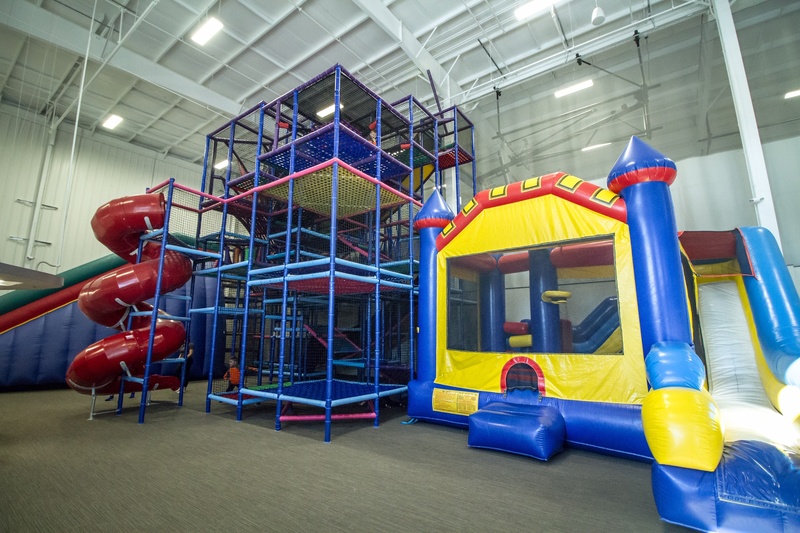 Child Care – Silverlake "The Family Place"
We offer FREE to all member children, a safe, bright and spacious area for your children to play while you workout or enjoy other amenities! Ages 8 weeks - 6 years. We ask that children be dropped off in a clean diaper. Thank you! Ages 3 (potty trained) - 12 years. 1.5 hours of playtime per visit. Not all attractions are appropriate for all ages, sizes, and capabilities. Our goal for the inflatables is to have children of similar ages/sizes playing simultaneously!